At the recent 2nd annual South African Tourism Lilizela Awards Raggy Charters of Port Elizabeth won the Marine Experience category in the customer experience section. 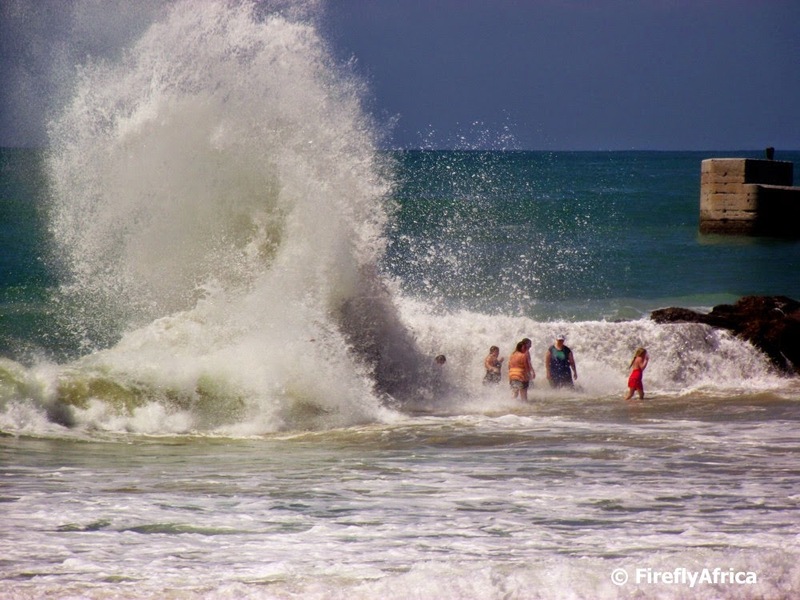 It is a huge accomplishment not just for Lloyd Edwards and his team but also a feather in the cap of Port Elizabeth and Algoa Bay. It proves that this area can compete with the best the rest of South Africa has to offer as far as marine experiences I came across this video by Ellie Bottomley on YouTube that she made of their cruise out to St Croix Island and the sightings along the way. The retaining wall all the beachfront walkway between McArthurs Pool and Humewood Beach have had a complete renovation and makeover after it was found to have some structural problems that have developed over time. The work was finally completed a couple of weeks ago and the walkway is now fully accessible once again. 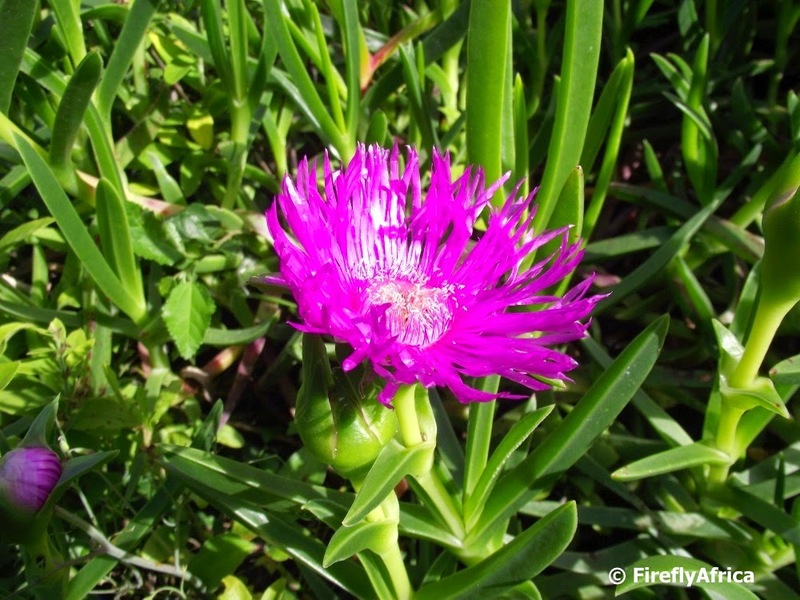 Carpobrotus deliciosus (sour fig, perdevy, ghaukum, ghounavy ) is a fairly well know sight in this area. They have purple, pink or white flowers, almost straight, green leaves and sweet fruits that make excellent sour fig preserve. They grows on sand dunes and in rocky grassland along the southern and eastern coast of South Africa from Riversdale in the Western Cape through the Eastern Cape to KwaZulu-Natal. This one was photographed in The Island Nature Reserve west of Port Elizabeth. 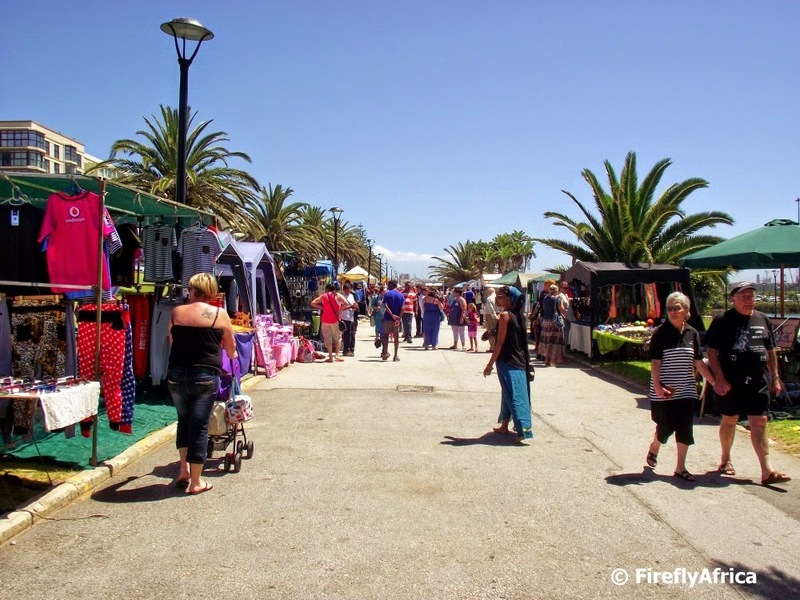 Every Sunday the walkway next to Marine Drive at Kings Beach get turned into the Kings Beach Fleamarket. The market is a mixture of hand made goods, African craft and curious and fong kong sunglasses, bags, wallets and clothing. The perfect spot for a Sunday morning walk and a bit of shopping. 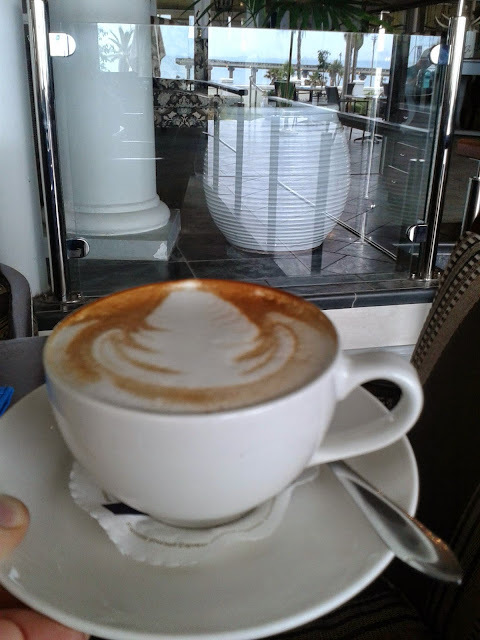 On Friday I attended a tourism marketing workshop at the Beach Hotel and afterwards a couple of us went for coffee at The Verandah. I was sitting with my back to the beach but still had a nice reflective view of Shark Rock Pier. 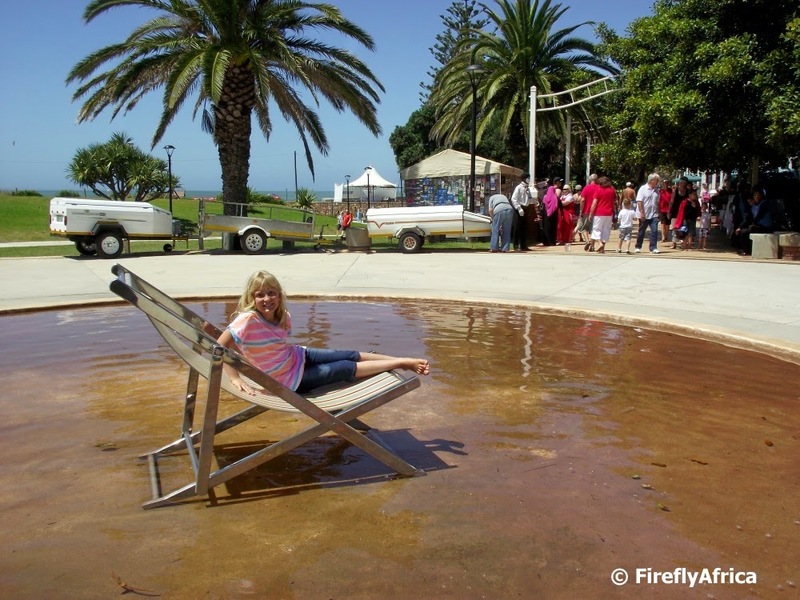 The whole Kings Beach development has added more than just a lake to the beachfront landscape. 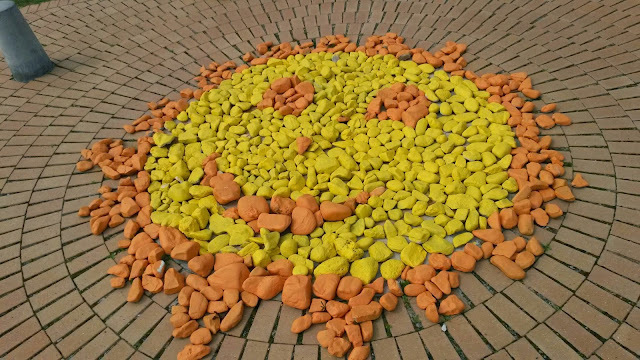 It also includes a number of features like this sun chair on the walkway. Great to utilise if you want to snap a couple of pics of your loved ones. The Nelson Mandela Bay Stadium is getting the reputation of being one of the best stadiums in the country when it comes to singing the South African National Anthem before a rugby test match. In 2011 before the All Blacks test we (and I say we as in Port Elizabethans) knocked over the proverbial cricket middle stump with a rendition of the anthem that is still talked about and followed it up with another cracker during the England test in 2012. This week's Friday video goes back to that England test on 23 June 2012 with Coleske leading the way and the Springboks and their supporters carrying it through. I specially like the fact that the broadcasters used some footage of the Great Flag on the Donkin Reserve as part of the anthem's broadcast. 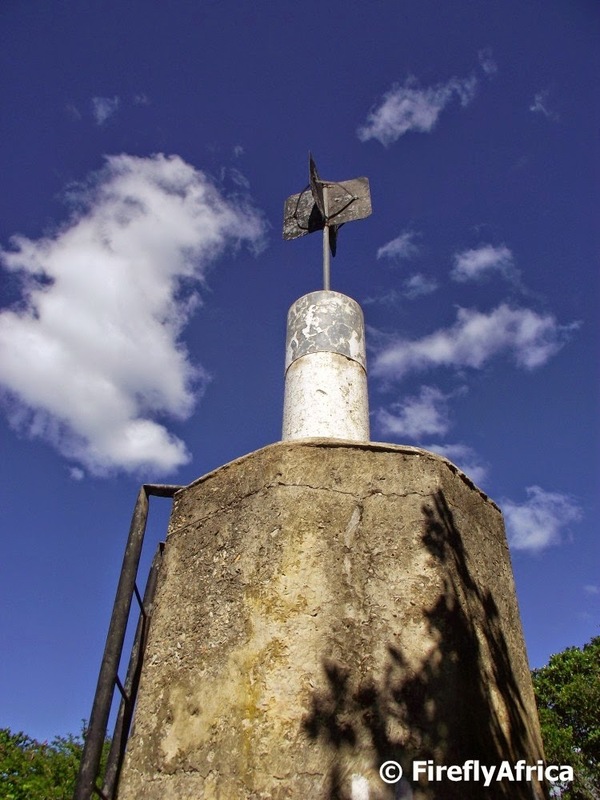 On my recent hike on the Bushbuck Trail in The Island Nature Reserve our turning point was a trig beacon near the western side of the reserve. There wasn't much around the trig beacon except for the coastal bush to make a good photo out of it but I took one anyway. 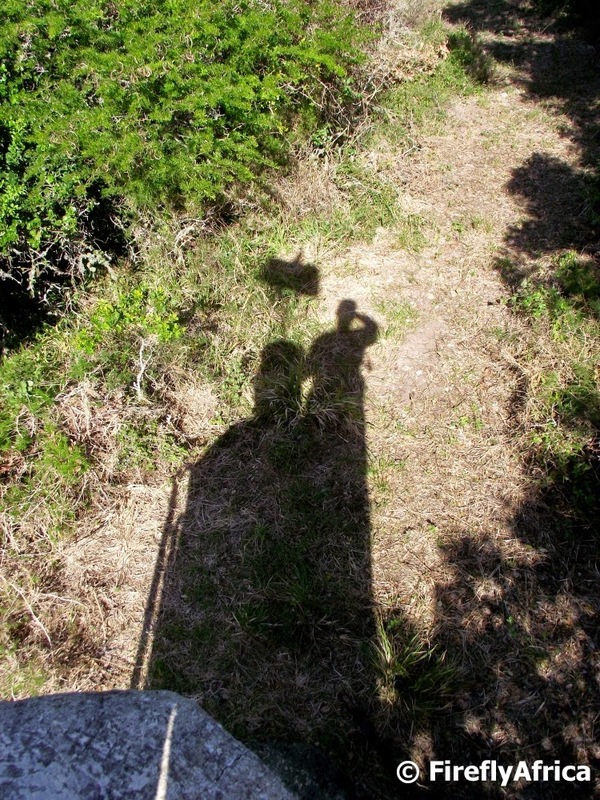 I climbed to the top to have a look at the surrounding view and decided to take a shadow selfie with me and the trig beacon. Somewhat weird? Probably. But don't judge me, selfies are the in thing nowadays. 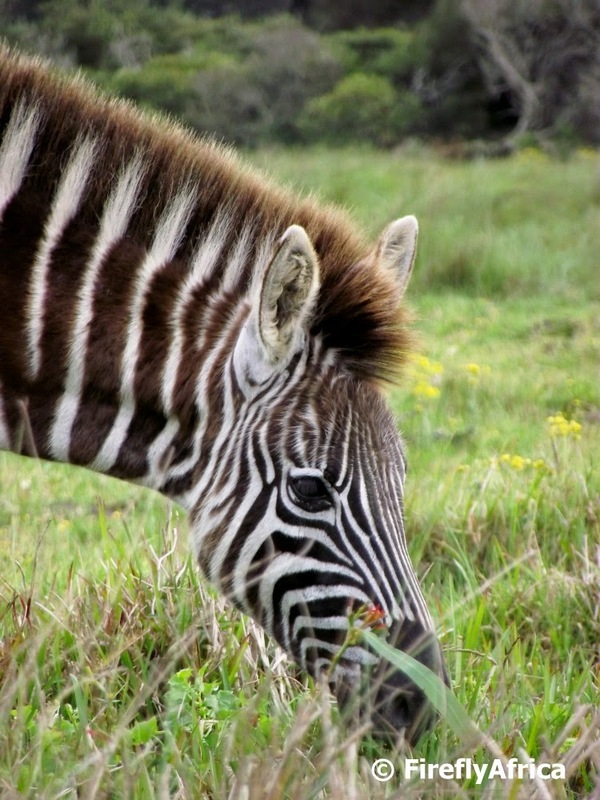 Zebras will always be a favorite sighting on any game drive and even better if you get to see them up close like we did at Kragga Kamma Game Park recently. Coming from Port Elizabeth side there are two entrances to Despatch. At the first entrance there is a waterwheel while the second entrance, the lesser used of the two, there is a sundial. I'm sure most people have seen the lichen generally referred to as Old Man's Beard. 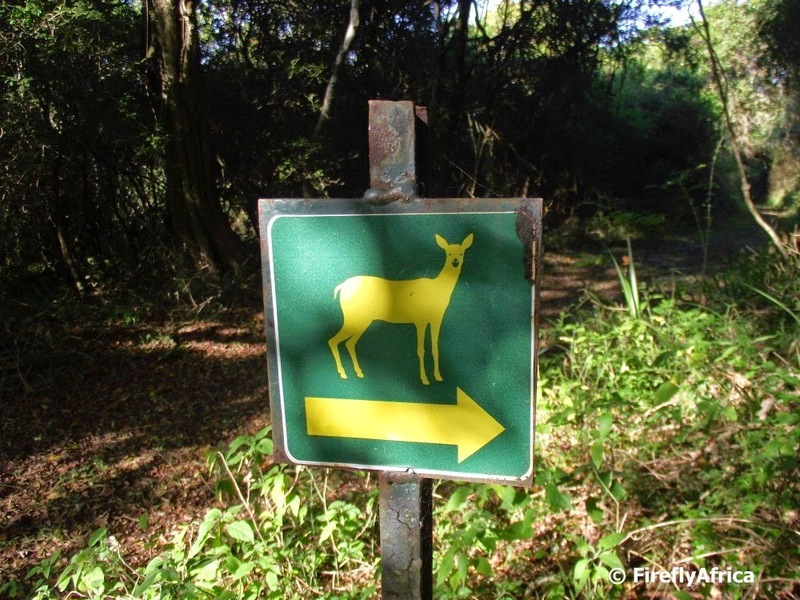 One sees quite a lot of it in the Tsitsikamma forest, but in this case I found it on the Bushbuck Trail in The Island Nature Reserve. Usnea is the generic and scientific name for several species of fruticose lichen in the family Parmeliaceae, that generally grow hanging from tree branches and resembling grey or greenish hair. It is often referred to as Old Man's Beard, but also called Beard Lichen, Tree's Dandruff, Woman's Long Hair, or Tree Moss. Usnea grows all over the world and like other lichens it is a symbiosis of a fungus and an alga. 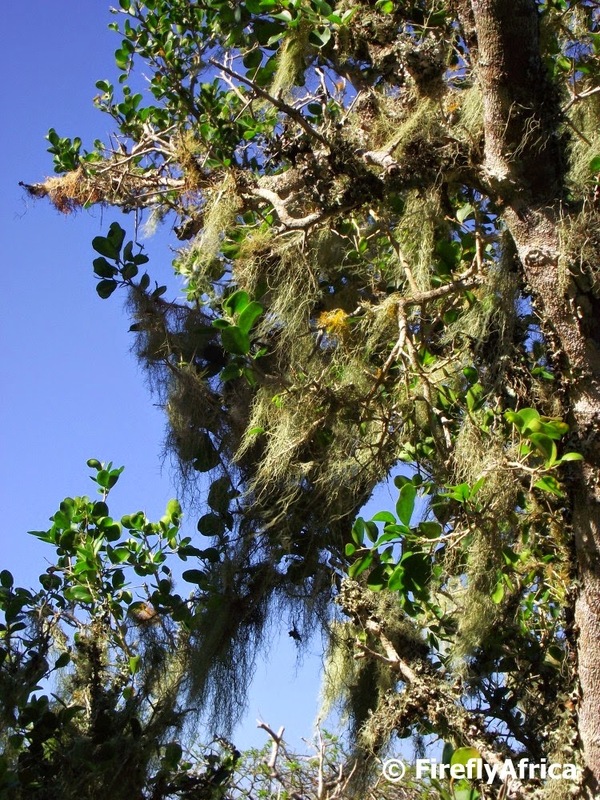 Like other lichens, Old Man's Beard often grows on sick or dying trees due to the pre-existing loss of canopy leaves, allowing for greater photosynthesis by the lichen's algae. It is very sensitive to air pollution, especially sulfur dioxide so if you see it you know that the air is clean and pure. Where the air is unpolluted, they can grow to 10–20 cm long. Ever wondered where the Springboks that don't make the team hang out? Kragga Kamma Game Park, where else? I came across this stunning video that was made in 2009 to promote Port Elizabeth and the Eastern Cape before the 2010 FIFA World Cup. Stunning landscapes, beautiful scenes, great activities and all right here in my home town and right on our doorstep. AND with Chinese subtitles nogal. Perfect for our weekly Friday Video Post. 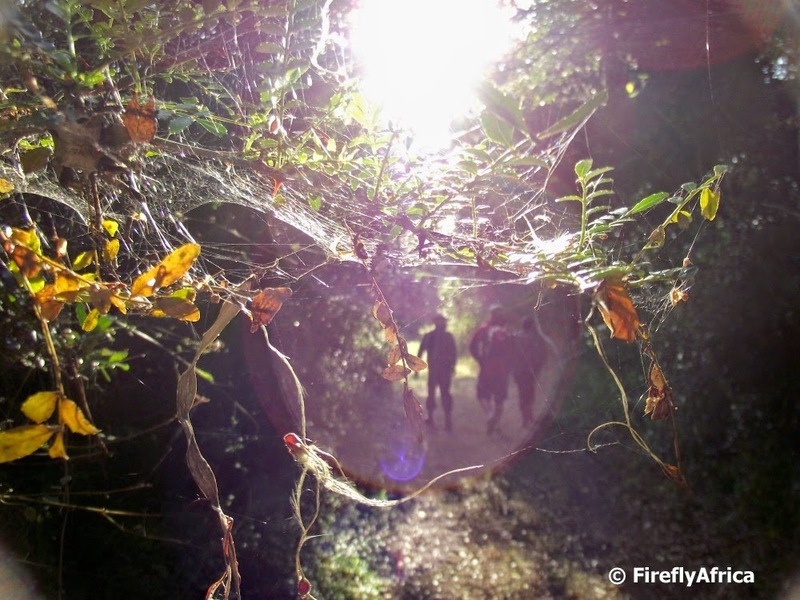 After yesterday's post on hiking in The Island Nature Reserve somebody asked for a little more information on the trail. The trail through the reserve is called the Bushbusk Trail and here is a little more information about it. A week or so ago we spent the morning in Kragga Kamma Game Park as a family. Its been a while since I've visited the park and every time I go I'm amazed at how fortunate we are to have such a great little park so close to the city. One of the pictures I took on the day was of an female Impala who was part of a breeding herd that was grazing next to the road. I thought I'll post some info regarding Impala from Wikipedia. The impala (Aepyceros melampus) is a medium-sized African antelope. It is the type species of the genus Aepyceros and belongs to the family Bovidae. It was first described by German zoologist Martin Hinrich Carl Lichtenstein in 1812. They are typically between 120–160 cm long, males stand up to approximately 75–92 cm at the shoulder and weigh 53–76 kg. They are characterised by a glossy, reddish brown coat with only the males having the characteristic slender, lyre-shaped horns, which can grow to be 45–92 cm long. 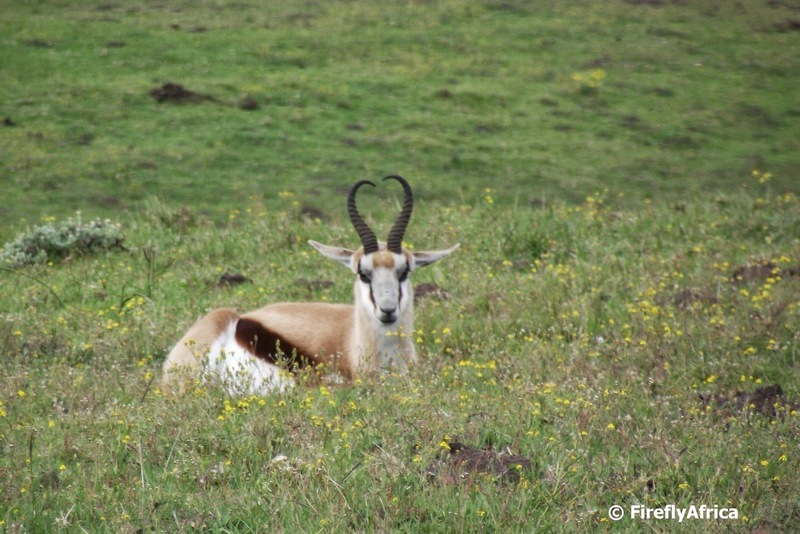 The impala inhabits savanna grasslands and woodlands close to water sources. It is a mixed forager and switches between grazing and browsing depending on the season and habitat. Water is an essential requirement. 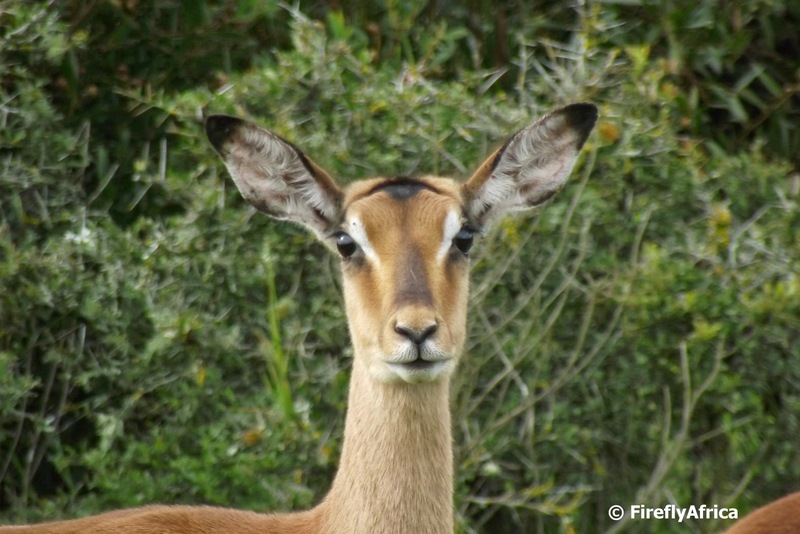 Impala are fast runners and are known for their leaping ability, reaching heights up to 3 m (9.8 ft). They communicate using a variety of unique visual and vocal cues. There are three distinct social groups during the wet season: the female herds, the bachelor herds and the territorial males. The mating season is the three-week long period toward the end of the wet season in May. A single fawn is born after a gestational period of about six to seven months. The fawn remains with its mother for four to six months, after which it joins juvenile groups. Nobody likes a road block, sitting bumper to bumper behind a slow moving object or having to waste time in a stop go situation. That is unless you get all of these because of elephants in the Addo Elephant National Park. I had a meeting in Addo and decided to leave two hours early and swing through the park to visit my favorite trunked pachyderms. Entering the South Gate at Colchester, I decided to do one of the loops in the south section and encountered a whole herd ambling along in the road in front of me. Best of all, the guy in the car in front of me wasn't one of those sighting hoggers that one often get and we took turns to be in front and take pictures, pulling over every few minutes to let the other one go in front again. 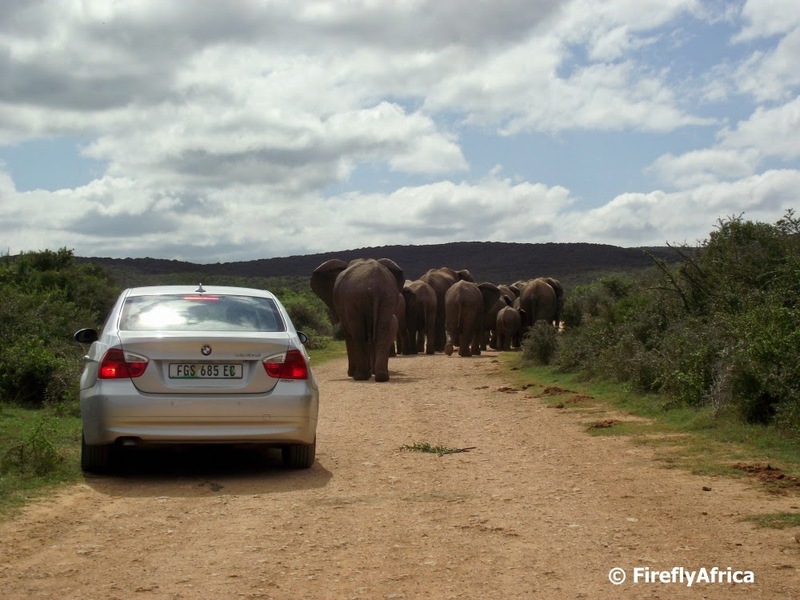 An elephant road block is the best road block. Selfies is the "in" thing these days, specially while on holiday or doing activities. Its a way to remember places by talking a picture of yourself somewhere. In a world of social media its also a way of "look where I am and you're not". There seem to be two types of selfies though. The one is the obvious one of taking a picture of, well, yourself. As in your face. But there is also a growing tendency in taking selfies of one's feet. 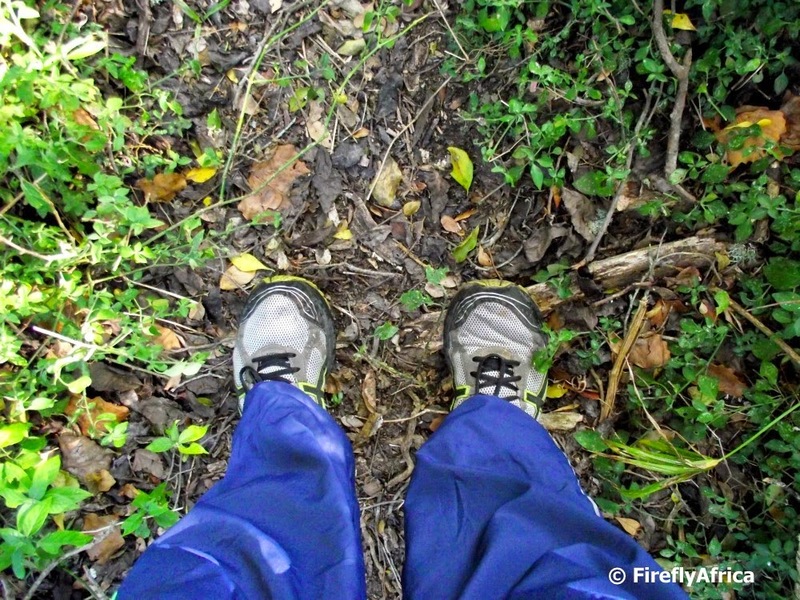 So I decided to give it a go and took my first feet selfie while on the Bushbuck Trail at The Island Nature Reserve. 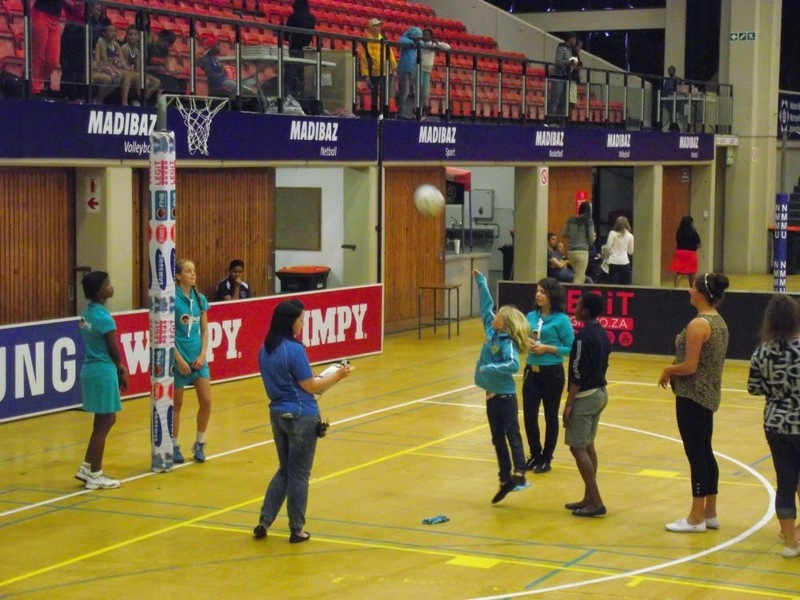 I found this picture which I took a couple of weeks ago when we went to watch Varsity Cup netball at NMMU. During half time spectators were invited to come and shoot hoops. Drama Princess was the smallest participant and even got one or two in from this distance. This week's Friday Video of the Week covers an area a little wider than just Port Elizabeth and Nelson Mandela Bay. I am very passionate about the Eastern Cape and will promote it at any opportunity I can get. A couple of years ago the Eastern Cape Parks and Tourism Agency has a stunning promotional video made with two options. A short two minute one and a longer option. Today I want to show you the shorter one of the two and show off some of the Eastern Cape's beauty. 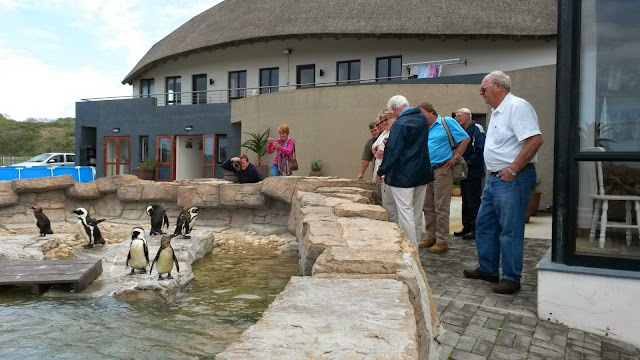 Visitors to SAMREC in the Cape Recife Nature Reserve get taken on a tour of the facility which includes the penguin hospital, the admission room and finally the penguin pool. 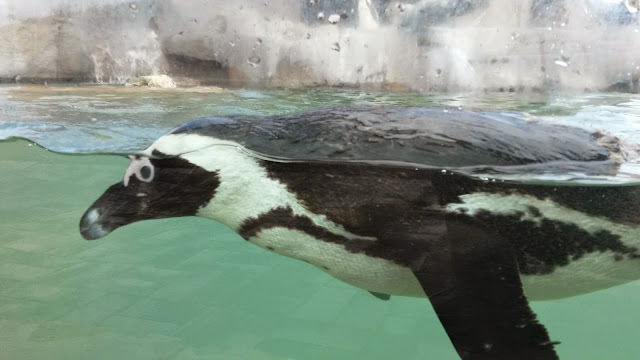 Here you get to see the penguins that are busy recuperating before they get released back into Algoa Bay again. The story of Prester John is a mysterious one. In some circles he was believed to be a descendant of the Three Wise Men, some believed he was a crusader-era Christian king based in Ethiopia or possibly a high-born Mongol from the time of Genghis Khan. Then there were those who said that he watched over Holy Grail, never growing old but wiser and wiser as the years went by. Whoever this mythical king-priest Prester John was, it was the quest of the Portuguese explorers not just to find a sea route around Africa to the East, but to also find and make contact with Prester John as a Christian ally. 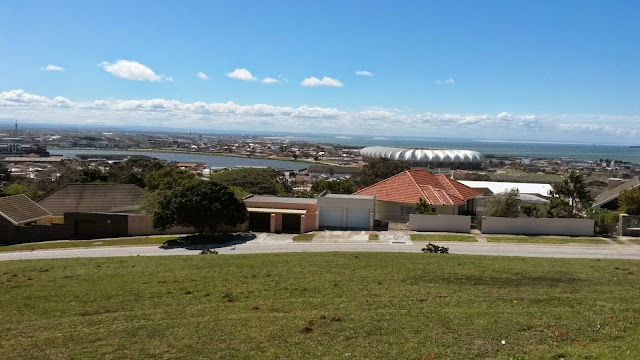 Over the years word have come via the overland caravans of a land with many riches and wild and wonderful animals ruled by a king as rich and wise as King Solomon of the Bible and the Portuguese started their quest to make contact. 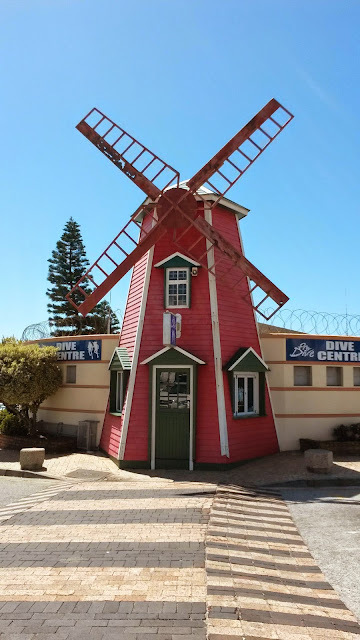 Although the king was never found by the Portungese, you can find what is thought to be the only monument in the world to Prester John right here in Port Elizabeth. The monument, situated between the City Hall, Feather Market Centre and the Old Post Office building, is in the form of a large Coptic cross. 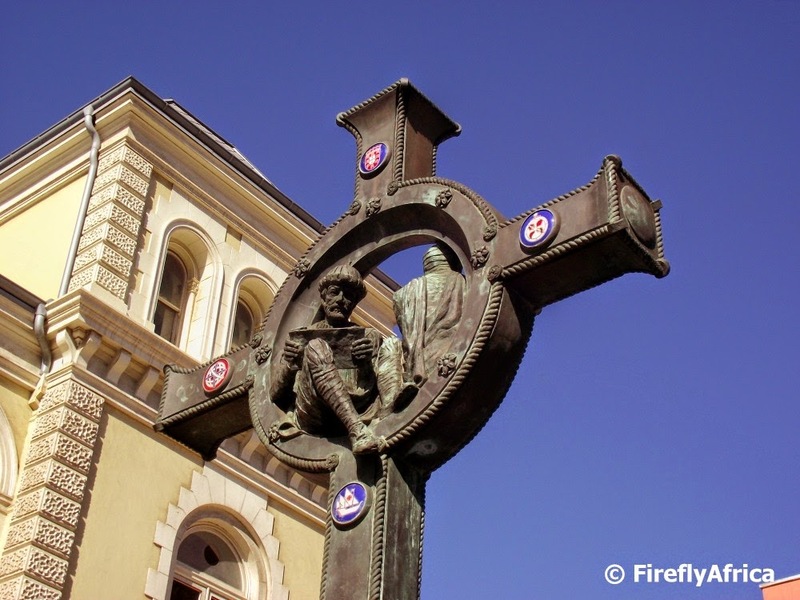 In the centre of the cross sits the two figures of Prester John and a Portuguese explorer. Symbolic devices on the cross depicts the Portuguese royal coat-of-arms, a Portuguese sailing ship, navigational sailing instruments of the time, the Coptic cross motif itself, the Lions of Judah and the elephants and rhinos representing the fabulous kingdom itself. 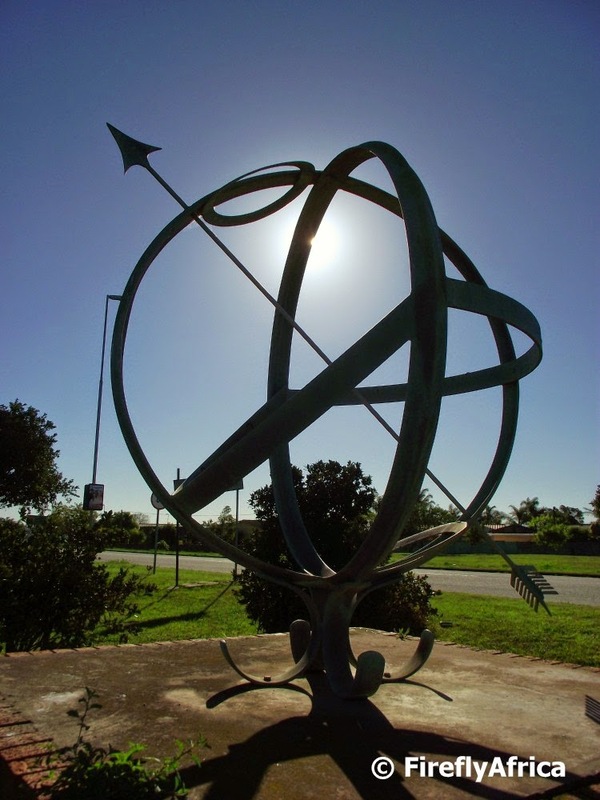 A local philanthropist paid for the monument which was unveiled by the Portuguese Ambassador to South Africa in 1986. 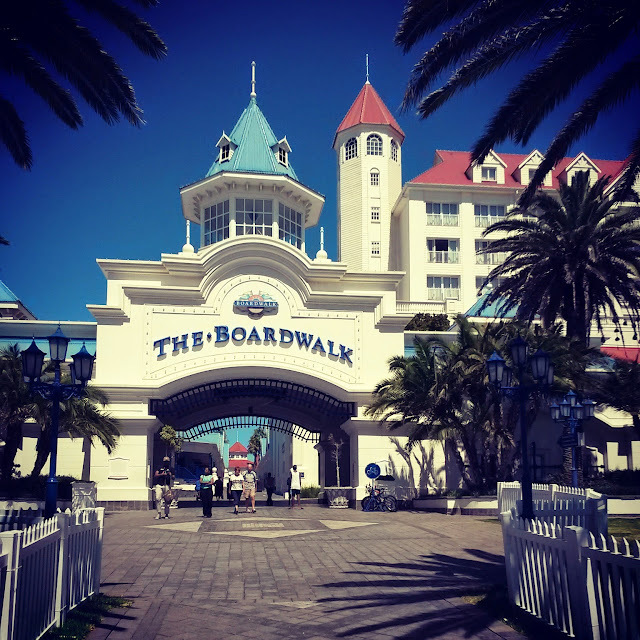 This weekend the Boardwalk complex celebrates it's 14th birthday. The Boardwalk started out as a casino and entertainment complex and now also features a 5 star hotel, international convention centre and a spa. 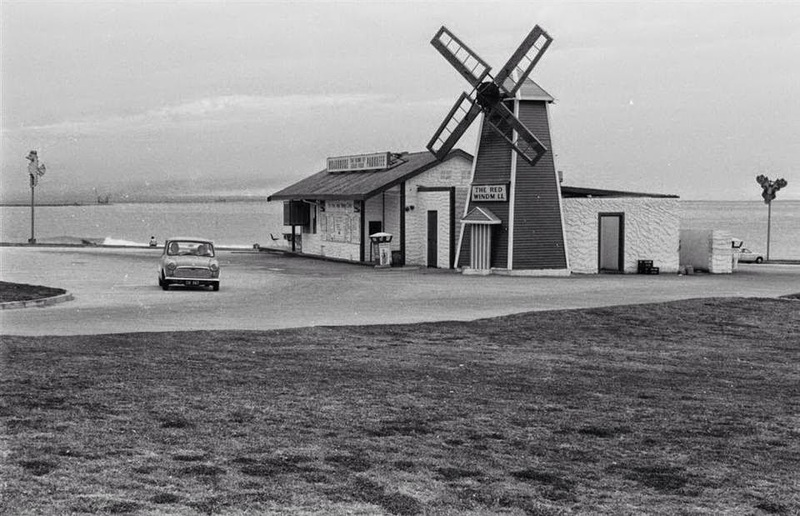 When the Boardwalk was built a fair amount of eyebrows lifted and people gave it 18 months before nobody would go there and the shops would close. 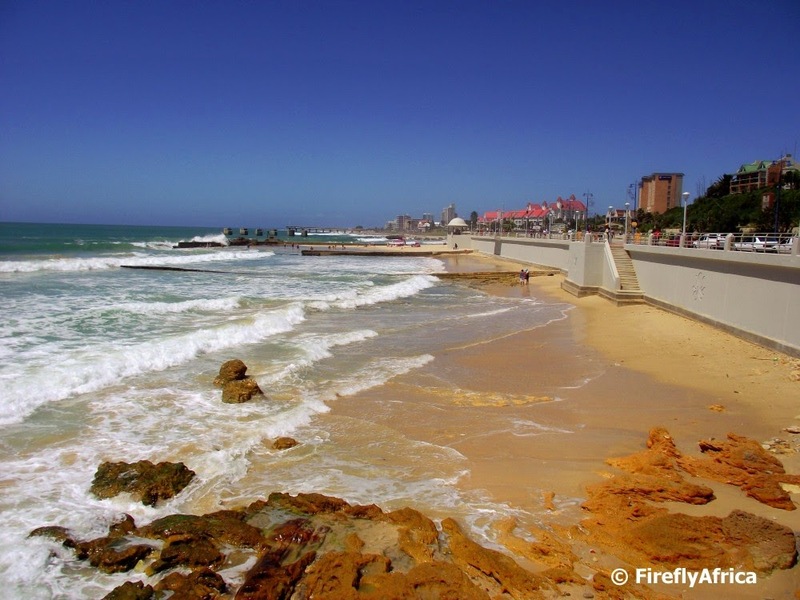 On the contrary, it has become a Port Elizabeth landmark, standing central to most activities and events hosted on the beachfront. Somewhere most visitors to the city end up either for a meal, a show, viewing the musical fountain spectacular on the lake or just for a stroll around. Best of all, its where my office is which means I can experience it and our beautiful beachfront every single day. Not having a GoPro means that travel videos have never been part of my arsenal as a blogger, but I recently realized that even though the quality may not be perfect, there is no reason not to take videos with my little ol' superzoom digital camera. So I tried it out last week while experiencing the stunning new Adrenalin Addo double zipline experience, downloaded a video editor program and played around with it. Its my first attempt and even though it wouldn't be winning any trave movie awards I'm quite proud of it. Here it is, ziplining at Adrenalin Addo in the Sundays River Valley. A 500 meter zipline, 60 meters up with stunning views over the valley. Enjoy. Under the Settlers Freeway on the flyover pillars between the Campanile and the bus station there are a series of 10 art pieces that form part of Route 67. The paintings, called "Identities" by Lubhi Mtathi, is a series of colourful and evocative portraits that depict young South Africans from a range of cultural backgrounds. Its all about cultural stereotypes and misconceptions. This is one that I strongly relate to. I am a South African and an African. I was born here and so was my parents and grand parents and great grandparents and... (ok, so I'm not sure how far back exactly but its more than just one or two generations). 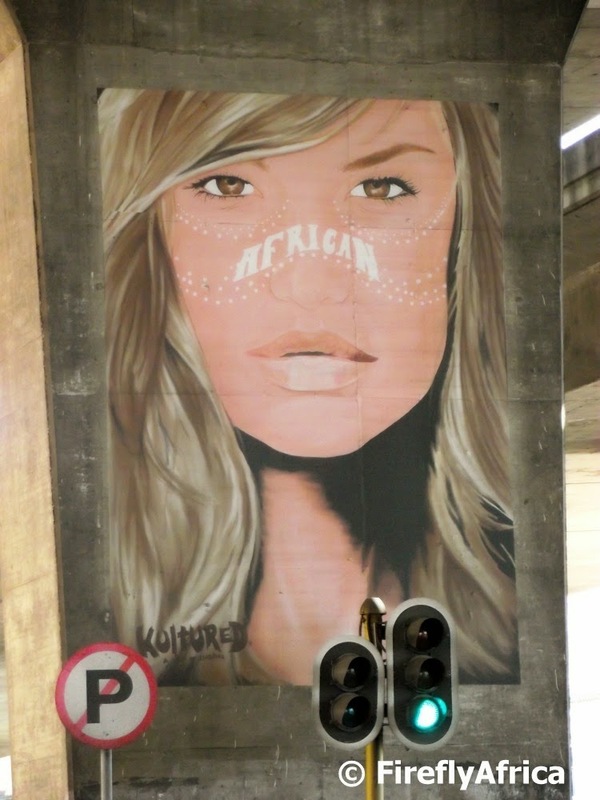 I may be white - and I would rather call it white than European - but I am African. Like it or not, I'm a white African. I think the one thing in my mother's garden that always fascinated me was her air plants. 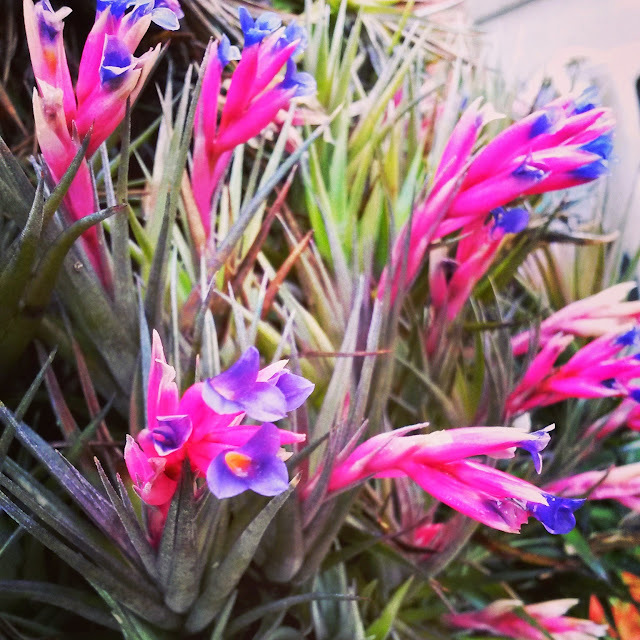 They used to hang in a rubber tree close to the front gate and once a year these grey spikey looking plants that doesn't grow from the ground got the most beautiful pink and blue flowers. When my mom sold her house she gave all her air plants to me and I now have them all over my garden. This time of year they are stunning and it still amazes me how something that doesn't grow from the ground and doesn't get watered regularly can bloom such beautiful flowers.